Virgin Voyages has released the very latest construction photos of the first cruise ship which will arrive in 2020. The new cruise line is set to change the industry and we have a first sneak peek of the ship which will begin to make that happen. 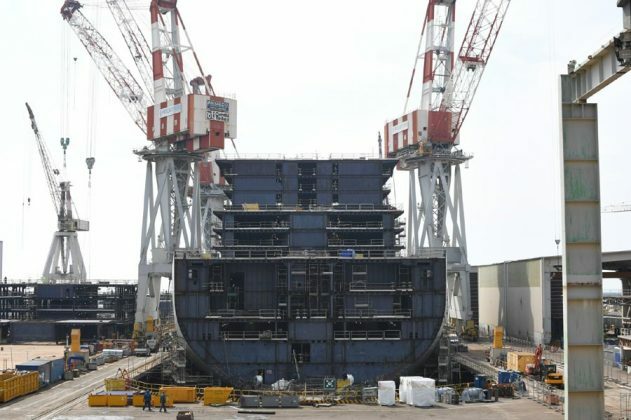 The new class vessel is being constructed by Fincantieri at the Genoa shipyard in Italy. 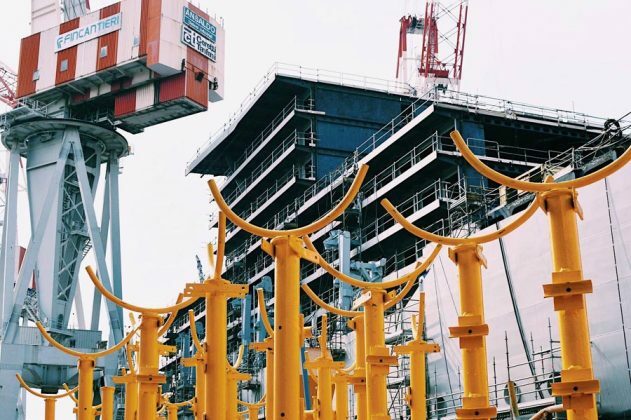 Virgin Voyages put on a hip event in October 2017 when the ships keel laying ceremony was held, this was the very first time we got a glimpse of the very early build stages. Now in the photos below the yet to be named Virgin cruise ship has come some way and starting to take shape and the Genoa shipyard. We get to have a sneak peek at the ship as the blocks come together step by step. 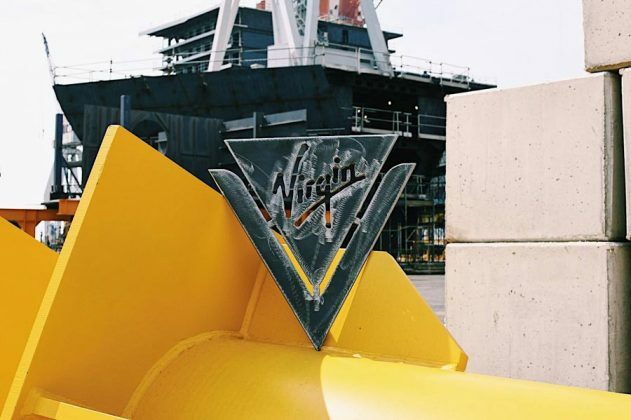 A photo of the Virgin Voyages funnel can also be seen and will be installed once other areas are completed. The funnel will become an iconic part of the new Virgin Voyages ship. 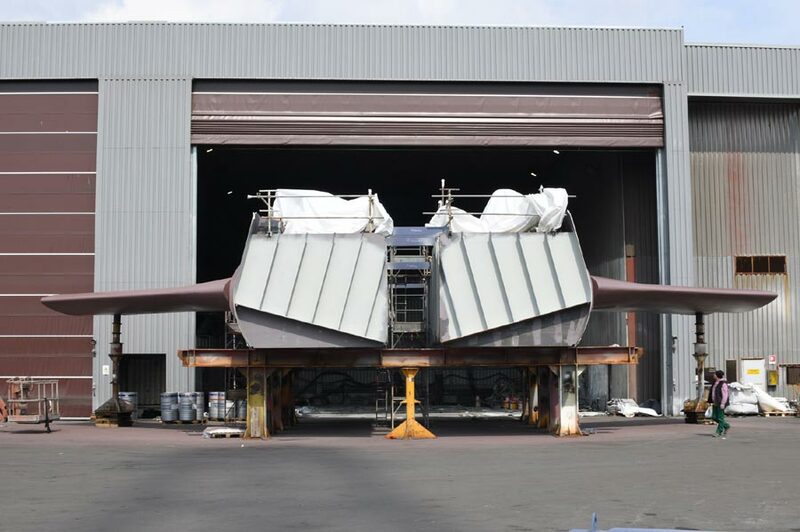 During the construction, the ship will reach several major milestones including floating out on water for the very first time and eventually sea trials which will be very important for a brand new class vessel. From a technical aspect, the ship will be environmentally friendly with hybrid exhaust cleaning scrubber system and advanced integrated navigational systems. 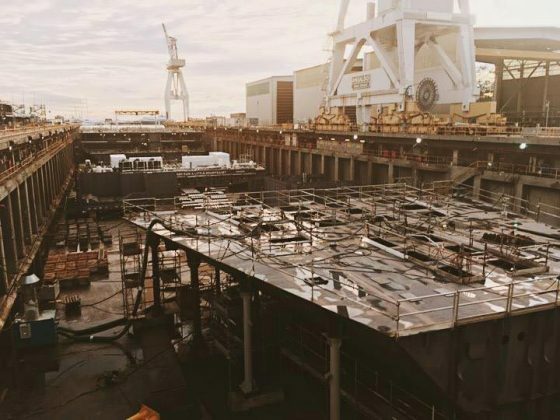 This first Virgin cruise ship will be completed in 2020 and will be 110,000 gross tons so a decent size and not as large as the new mega ships from Royal Caribbean, MSC Cruises, and Norwegian Cruise Line. Because Virgin Voyages is a new cruise line which in fact only recently moved into its new headquarters in Fort Lauderdale, Florida there will be much anticipation for the first ship. She will be sailing 7-day cruises from PortMiami and for adults only! that means expect some nifty onboard features you would not usually see on kid-friendly vessels. 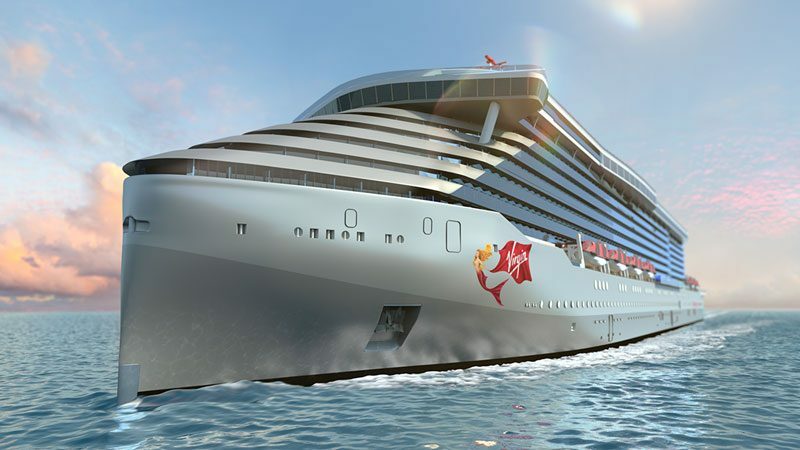 The ship will be carrying 2,700 guests or as Virgin’s Richard Branson says “Sailors” and they will be catered for by 1,150 crew members who are set to be the happiest in the industry! The cruise line has ordered a total of three cruise ships all the same design and tonnage. the second two will arrive in 2021 and 2022 so we’re going to start seeing a lot more of Virgin Voyages.